In exchange for her loyalty and devotion, the King of the Titans will spare humanity and let Kate keep her child. Yet even if Kate agrees, he’ll destroy Henry, her mother and the rest of the council. And if she refuses, Cronus will tear the world apart until every last god and mortal are dead. The Goddess Inheritance is the last book of The Goddess Test Series. Let me tell you a little background story of how I can read this book series. It was actually by accident. When everyone likes to window shopping, I actually love shelf shopping. I love looking at the bookshelves in bookstores and picking up which books will be on my next wish list. With so many books waiting to be read at home, shelf shopping is something I always do whenever I went to bookstores. I did end up buying some books sometimes, but other times, shelf shopping it is. And while I was shelf shopping at my favourite Kinokuniya Bookstore, I accidentally find The Goddess Test, the first book of the series. Afterwards, I went home and read the synopsis and some reviews about the book. I don’t remember what kind of reviews that I found, but since The Goddess Test is all about Greek Gods and Goddesses, I decided to buy it the next time I went to the bookstore. And here am I, at the end of the series. I don’t know if I have to be sad to part from Henry (Hades) or happy because he finally found his rightful ending. I simply don’t know if I really really like the book or just like it since I did expect more from the story but at the same time, I can’t even put the book down for sleeping. The story is enjoyable even though it’s not like the way I want, but then again, it’s not my story to tell. I sometimes hate Kate (Henry’s wife), even though I must admit I do like her too. I kind of in the middle. But I do love Henry. I have mentioned a bit about it in my review of The Goddess Hunt, but I am still going to mention it again. Aimee Carter managed to get Hades’s good site. We all know the story of Hades of being the King of Underworld. He’s cruel and all. But I’m glad Carter pick a different angle of him. She showed us that even though Henry is the King of Underworld, that doesn’t mean he’s cruel and no love at all. He is in fact, in this book, know how to love and so faithful to his wife after all. He’s more a role model than Walter (Zeus). Carter succeeds to change the view of her readers about Hades. Well, at least she changes my point of view. I was interested in the relationship between Cronus and Kate. I think it will be interesting to develop the relationship more. But enough is enough and I think The Goddess Inheritance gives a good story anyway. It is really worth to read after all. I even managed to read it quite fast, remembering how little of time I’ve got these past few months to read. Well, what can I say? Once I started reading this book, I just can’t help myself to stop after all. 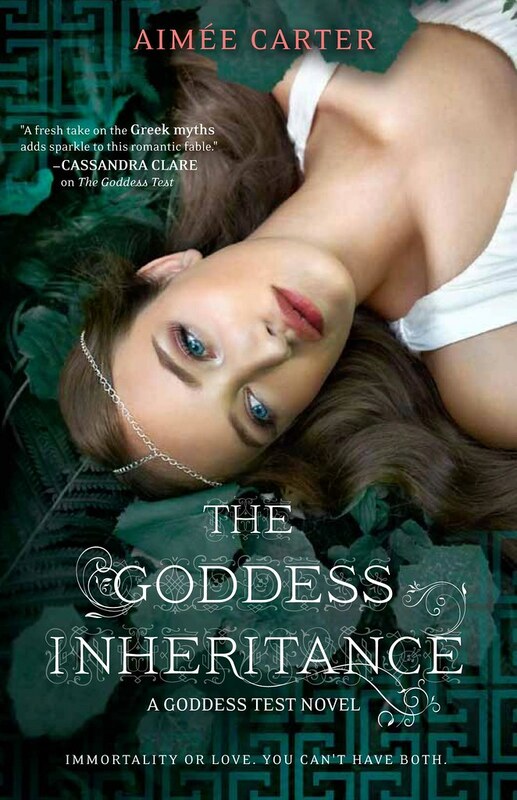 The Goddess Inheritance receives 4.5 out of 5 stars from me.